New technologies are revolutionising the way manufacturing and supply chain management are implemented. These changes are delivering manufacturing firms the competitive advantage of a highly flexible and responsive supply chain and manufacturing system to ensure that they meet the high expectations of their customers, who, in today's economy, demand absolutely the best service, price, delivery time and product quality. To make e-manufacturing and supply chain technologies effective, integration is needed between various, often disparate systems. To understand why this is such an issue, one needs to understand what the different systems or system components do, their objectives, their specific focus areas and how they interact with other systems. It is also required to understand how these systems evolved to their current state, as the concepts used during the early development of systems and technology tend to remain in place throughout the life-cycle of the systems/technology. 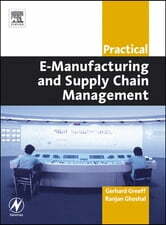 This book explores various standards, concepts and techniques used over the years to model systems and hierarchies in order to understand where they fit into the organization and supply chain. It looks at the specific system components and the ways in which they can be designed and graphically depicted for easy understanding by both information technology (IT) and non-IT personnel. Without a good implementation philosophy, very few systems add any real benefit to an organization, and for this reason the ways in which systems are implemented and installation projects managed are also explored and recommendations are made as to possible methods that have proven successful in the past. The human factor and how that impacts on system success are also addressed, as is the motivation for system investment and subsequent benefit measurement processes. Finally, the vendor/user supply/demand within the e-manufacturing domain is explored and a method is put forward that enables the reduction of vendor bias during the vendor selection process. 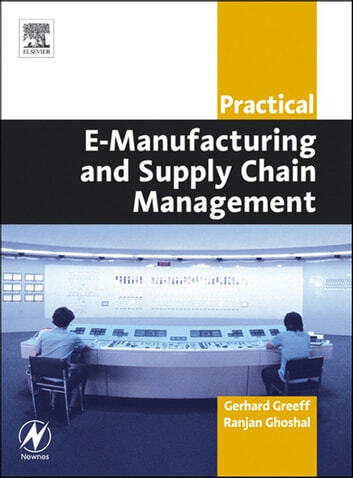 The objective of this book is to provide the reader with a good understanding regarding the four critical factors (business/physical processes, systems supporting the processes, company personnel and company/personal performance measures) that influence the success of any e-manufacturing implementation, and the synchronization required between these factors.